Probably the most popular Cross Element High Gain Aerial in the market today. Manufactured by Triax UK Ltd. Constructed from aluminium, magnesium and manganese alloy makes them extremely resistant to the most adverse weather conditions. 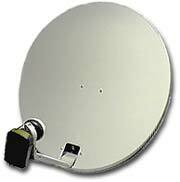 The extra large rear reflector provides an excellent front to back ratio and the PCB balun (with captive signal transfer) provides superb signal transfer.